Climate change is a public health emergency and physicians are "morally bound to take a lead role" in confronting the challenges, says the doctor making the claim. She’s with us. Dr. David Satcher, served as the 16th Surgeon General of the United States from 1998 to 2002. Founding director and senior adviser at the Satcher Health Leadership Institute at the Morehouse School of Medicine (@SHLIatMSM). He also served as the director of the CDC and assistant secretary for health. 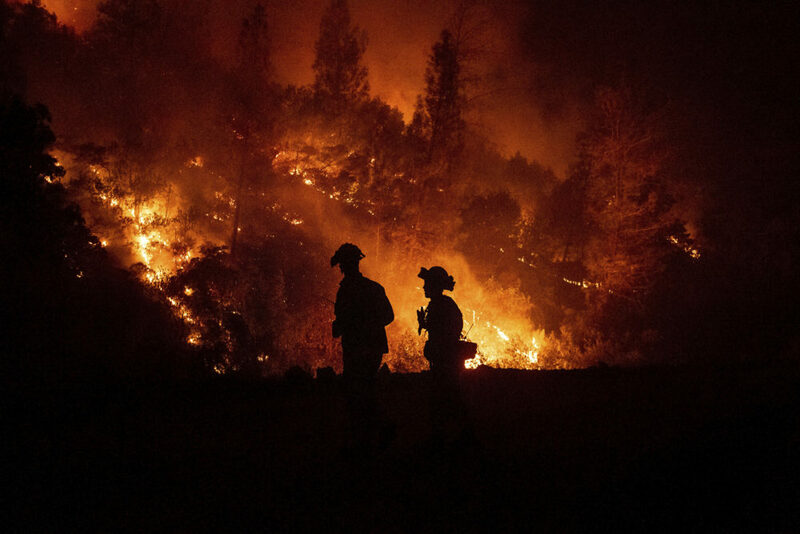 New England Journal of Medicine: "Climate Change — A Health Emergency" — "As the Camp wildfire spread rapidly in California in early November 2018, the University of California, Davis, Burn Center received a call that nearby Feather City Hospital was on fire and patients were being urgently transferred. That, recalls David Greenhalgh, professor and chief of the Burn Division, UC Davis Department of Surgery, was when the chaos began. Within the next 24 hours, with fires raging, 12 new burn patients were rushed to his facility (which usually admits 1 or 2 patients in a given day). The most severely injured man had burns over nearly half his body, with exposed bone and tendon; a month later, he and two other patients remained hospitalized, facing repeated surgeries. And these were the patients fortunate enough to have made it to the hospital. At least 85 people died and nearly 14,000 homes were lost in what is the largest California wildfire on record — a record that unfortunately is likely to be short-lived. "In this issue of the Journal, Haines and Ebi summarize the devastating effects that the global burning of fossil fuels is having on our planet (pages 263–273). Disruption of our climate system, once a theoretical concern, is now occurring in plain view — with a growing human toll brought by powerful storms, flooding, droughts, wildfires, and rising numbers of insectborne diseases. Psychological stress, political instability, forced migration, and conflict are other unsettling consequences. In addition, particulate air pollutants released by burning fossil fuels are shortening human life in many regions of the world. These effects of climate disruption are fundamentally health issues, and they pose existential risks to all of us. People who are sick or poor will suffer the most. "As physicians, we have a special responsibility to safeguard health and alleviate suffering. Working to rapidly curtail greenhouse gas emissions is now essential to our healing mission. The United Nations Intergovernmental Panel on Climate Change concluded that we need to cut global greenhouse gas emissions in half by 2030 and entirely by 2040 to avoid the most catastrophic effects of climate change.1 Yet these emissions hit a record high in 2018. Rapid but equitable changes in energy, transportation, and other economic sectors are needed if we are even to begin to meet the requisite emissions-reduction targets. Tackling this challenge may feel overwhelming, but physicians are well placed and, we believe, morally bound to take a lead role in confronting climate change with the urgency that it demands." STAT: "Climate change is affecting health now. Our leaders must take action" — "Among the scientific and policy highlights of 2018 were landmark reports on climate change and human health. These brought more insight and urgency to the reality that climate change is happening now and harming our lives in a host of ways. How the U.S. and the rest of the world respond in 2019 will chart the course for our future. "Both reports — one written by 13 federal agencies and released by the Trump administration, the other written by an international group of health experts and published in the prestigious journal the Lancet — specifically point to the fact that climate change is harming human health. "Here’s one of the summary conclusions from the U.S. report: 'Impacts from climate change on extreme weather and climate-related events, air quality, and the transmission of disease through insects and pests, food, and water increasingly threaten the health and well-being of the American people, particularly populations that are already vulnerable.' "
The Hill: "Congress, it's time to follow your doctor's prescription on climate change" — "Imagine a father of several small children who receives a diagnosis of a life-threatening illness. He’s reluctant to accept the diagnosis. He thinks his symptoms are probably just a passing thing. Moreover, he’s worried that any treatment for the diagnosed condition might be worse than the disease itself. "Now imagine that he seeks a second opinion a third and so on until the patient has consulted with 100 doctors. In the end, 97 of these 100 doctors confirm the diagnosis, concluding that he has a life-threatening illness. This story has a happy ending, however, because as soon as the patient begins taking the necessary steps to deal with his condition, his health improves dramatically. "In reality, Congress is the patient and the condition is climate change. Over 97 percent of climate scientists have concluded, based on the evidence, that human-caused climate change is happening. "Doctors, like me, who have conducted research on the health implications of climate change have concluded, again based on the evidence, that climate change threatens the health of Americans in many ways." Vox: "Doctors are frightened by climate change. Their industry is a big part of the problem." — "Wildfire deaths. Smoky air. Floods. Droughts. There’s no escaping the reality that global warming is rapidly exacerbating threats to human health and communities in the United States and around the world. As the top scientists have told us over and over, we need to immediately lower our greenhouse gas emissions to avoid climate change’s most catastrophic effects. Governments and businesses are particularly on the hook, but so are citizens — we are all in this together. "In a New England Journal of Medicine commentary published Wednesday, a pair of Boston doctors make the case that it’s high time medical professionals engage more directly in the fight to limit climate change. Lead author Caren Solomon, a physician at Brigham and Women’s Hospital, tells Vox she was compelled to write the piece as the urgency of the climate crisis has become clearer and clearer." This program aired on January 23, 2019.